Bob Rafkin slipped away from us today. He’d been struggling with cancer for a few years. only a powerful surprise to our arrangements but a delight for the audience. 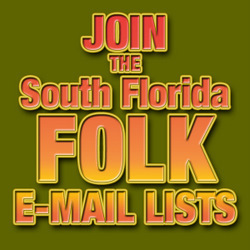 Florida Folk Festival performances. I arrived all excited to justify this honor. to accompany. How embarrassing. He never spoke another word about it. Becoming more animated than I’d ever seen him, he told a first hand story. shines in LOVE ME I’M A LIBERAL. NO locked door, before he dropped out of music for an extended period of time. record and threw it away, , , like a frisby.” making the motion with his arm. Here is Bob doing his rendition of the tune the Byrd’s mangled. it/me in the audience, with his kind smile and easy laugh. became manifestly focused somewhere along this life journey when he became a Buddists. A wonderful human being to know. His presence shall be dearly missed, NOT forgotten.